Simple is better. We transform our client’s wildly complex technologies and create simple, elegant, user-centered design solutions. 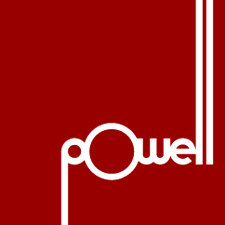 Powell Design Corporation brings over 23 years of multi-disciplinary Digital Design management and hands-on experience to the table in the relentless pursuit to turn complex design challenges into meaningful, creative solutions. We have the rare ability to look wide AND deep at problems—then turn that thinking into the creative solutions. Powell Design specializes in many disciplines of Digital Design including User Experience (UX), Interaction Design (IxD), and User Interface Design (UI). We then apply that expertise to the Design & Development of: Product Interface Platforms, Mobile & Tablet Applications, Interactive Television Platforms & Apps, Web Applications, Brand Development, Information Architecture, Data visualization, Design Mentoring and Customer Research. Our unique model involves a few select strategic partnerships that leverage our Digital Design expertise with complimentary skillsets—like Industrial Design. We have come to realize that the right Partners can increase value to our mutual clients across a variety of design disciplines. The new whole becomes greater than the sum of its parts. Intersection Inc. is a key Strategic Partner with GE Healthcare, GE Energy & GE Oil & Gas in the development of Design Language, Design Mentoring and multiple User Interface design projects generating several patents. The Design Studio Nuovo partnership evolved out of working directly with Frank Nuovo during the creation of Vertu. Today, it represents the best of how independent talent is brought together to create new products for clients like Atheer and Samsung. Black Light Design has been a key Strategic Partner for over a decade. In that time, we have collaborated on numerous interface concepts and designs for notable clients like TiVo, Cablevision, HBO, Time Warner Cable, and most recently Vodafone. Our recent Strategic Partnership with DD Studio has already yielded some incredible work that we look forward to sharing once it’s publicly available. Prior to forming Powell Design Corporation, Bryan Powell joined Nokia, Inc. as the Interactive Design Manager for what would become the first luxury division of the mobile phone giant. This new sub-brand (the first for Nokia) was named Vertu. Here he assumed all creative responsibilities for the launch of the vertu.com website, motion graphics, product graphics, ring tones and all product user interface design for the luxury mobile phones. Simplicity, artistic expression and elegance were hallmarks of the brand that he further enhanced through these media. Additional responsibilities included creative input on all brand-related material such as advertising, marketing and print collateral. The User Interface on each Vertu instrument is custom designed to reflect not only the embodiment of the brand, but the nature and character of the individual product. This was one of many Vertu “firsts” for mobile phones. The first set of User Interfaces included the development of a complete custom typeface design in multiple languages and sizes. In 1998, Bryan joined Pittard Sullivan as a Creative Director within the company’s Interactive and Convergent Media Group. As a member of the Pittard Sullivan team, Bryan had been actively involved in the creation of numerous websites and convergent initiatives for a variety of companies. Responsibilities included the design of multiple, concurrent projects, strategizing and establishing appropriate teams, providing focus and clarity to the project objectives, communicating, presenting and educating the client to achieve breakthrough results. Highlights of Pittard Sullivan projects include websites and convergent initiatives for a variety of companies, including ABC.com, Oscars.com (for ABC and the Academy of Motion Picture Arts and Sciences,) the very first website for Fandango, FullAudio, Intertainer, Mixed Signals, Lucent Technologies, WebTV, Fox Family Channel, Emirates Media Inc. and British Telecom. In 1996, Bryan joined Cow, where he directed the design of various award-winning website projects, including Cow’s first highly-experimental website cow.com, Kahlua.com, Disney Consumer Products’ intranet, and the official website for the 1998 U.S. Senior Open Golf Championship. At AND Interactive, Bryan directed the interface designs for corporate presentations, broadband applications, and websites for companies and projects including Getty, Lombard and @Home. Bryan graduated with honors with a BFA from Art Center College of Design in Pasadena, CA in 1995. During his time as a student, he was selected as an ambassador of the school to present his work at a multimedia design conference in Kitakyushu, Japan.